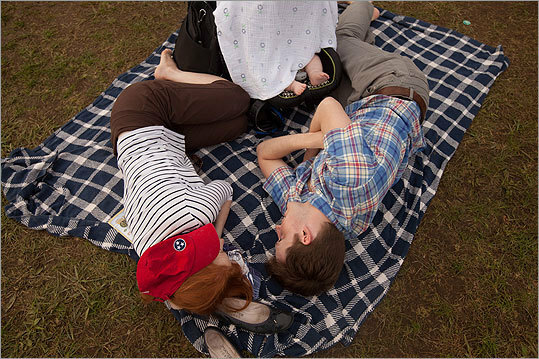 A photographer from the Boston Globe snapped this photo of my little family at the Life is Good Festival last weekend. My blog, as we know it, may be a goner. But I've still got the main characters and that makes me happy.